The finest window shutters Westbury-on-Trym. Just Shutters, your local shutter specialists, are delighted to offer the widest range of stunning plantation shutters at fantastic prices in Westbury-on-Trym and the surrounding areas; call us on 0117 370 1594. The suburb of Westbury-on-Trym is steeped in history that predates Bristol itself. With its eclectic mix of architecture and vibrant residents, we know how to create something as special and unique as you are. Our expert knowledge and the largest range of materials and finishes mean we can create any look to fit any taste style. 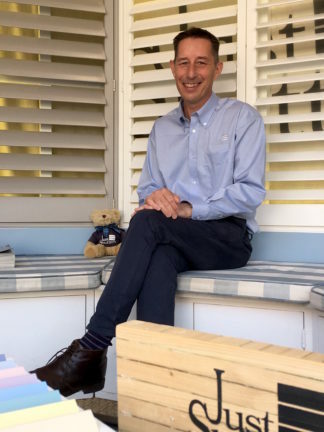 So, whether you are after classic and elegant, bright and bold or warm and traditional, your local experts; husband and wife team Rob (pictured below) and Linda Reeves, are here to expertly guide you and create a masterpiece. Firstly we will always listen to your ideas and advise you of the solutions we offer, our job is to create shutters you will love for years to come. Our customers are our number one priority, which is why we have gained the finest reputation and outstanding reviews. Rob and Linda Reeves your local experts have a keen eye for design and passion for transforming local homes. They are the specialists who will design, create and install your dream shutters. Plantation shutters are a stylish, high-quality window covering that is versatile, practical and above all beautiful. Shutters can transform a room by providing an array of light and shading options, while leaving the room private and allowing you to still make the most of the view. Shutters are superior in terms of quality and practical benefits over most other options such as curtains or blinds. Not only in style, but also livability and long lasting value, which is why our shutters come with a market-leading lifetime guarantee. Call Rob and Linda on 0117 370 1594 for an informal chat, or to book a home design visit. Alternatively, follow the buttons below for an inspiring procure or general enquiry and we will be delighted to help you further. Our overall unsurpassed reputation brings us so much pleasure, after all our customers are testament to our hard work. However, instead of boasting we would prefer to show you what our they really have to say! Please find over 1800 more on checkatrade. Advice on selecting plantation shutters, then installation. Installation of plantation shutters at 4 windows within household. 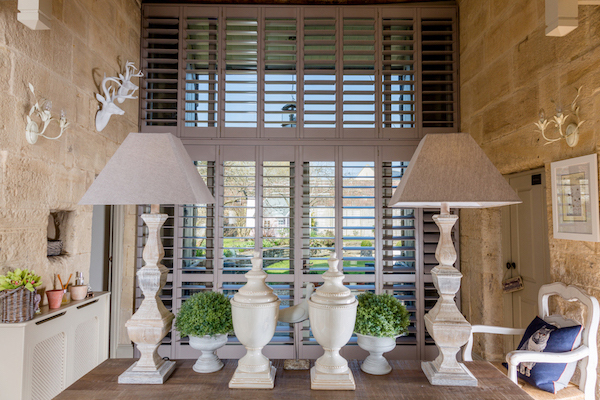 You May also like to see shutters Bristol, shutters Clifton.